Last Update: December 18th, 2014. Social media is not going away. And if you are a small business you wouldn’t want it to. Blogs, Facebook, Twitter, Youtube… the list is huge (and possibly overwhelming) but the potential for growing your business, expanding your customer base and making more money is just as vast. Some small businesses are now using social media to grow profits. Others are struggling to navigate the jungle and are making mistakes along the way. In this post I’m going to talk a little bit about what you need to be doing if you want to get in on the action. What social media sites should your small business be using? How do you get started on the most important sites? How do you use social media to grow profits? What strategies and tools will help you grow faster? What are the dangers of social media? Let’s jump right in! You’ve got over 3,500 words to get through. Let’s start with a real basic tour of the wonderful and complicated world of social media. Now the good news is that you do not need to be active on all of these. In fact, some social media platforms work really poorly for certain industries. A recent photo that has been circulating on, ironically, the social media sites explaining how they all work. Bit of a laugh but also pretty helpful. If anyone knows the original source please let me know. Update: Thanks to Jennifer for finding the original source at Three Ships Media. This is a tricky question and totally depends on your business. Let’s start by saying that everyone should have a Facebook Page and a website with a blog regardless of what you do. That is the basis for all social media activity. Once you become somewhat experienced at blogging and using Facebook you can decide what other social media platforms you want to use. If you really want to get started you can book a consulting session with me and I will guide you through the minefield on Skype or via email. What are the main benefits of social media? Where do I start for my business’ social media activities? As I said before, you don’t have to be on all of these platforms. Thank heavens. Social media is my job and I still don’t use everything that is out there. Here are a few steps you can follow if you want to get started in a simple and affordable way. Your website and blog is your most important online asset. Period. All your social media activities should in some way be about growing your blog and website and email database and you can only do that with amazing content. If you don’t have a blog I have written a pretty comprehensive guide to setting one up. Just follow the steps and see how you go. As with most things online, if you find it too hard you can just hire someone to do it for you. I’m more than happy to get you on the right track in that respect. Every business should have a Facebook Page as far as I am concerned. And as they are quite simple to set up and run you can practice on Facebook before expanding out to other social media sites. I think the best thing you can do in the beginning is research some of the best Facebook Pages out there. These are individuals and companies who are getting it right. Some of them include Pat Flynn, Problogger, Neil Patel, Porsche, Battlefield, etc. Have a look at those guys and take note of not just how they look, but how they interact with their customers. You need to get a Facebook Page, not a profile. If you have a profile you need to change as Facebook regularly takes these down. Make sure you add a really detailed set of information like your business address, services, opening hours and what it is that you do. Make it as comprehensive as possible. 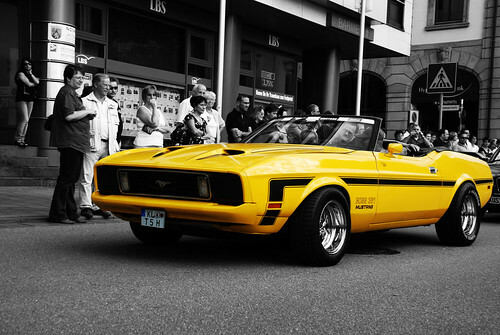 Click the “Photo” link up the top and then “Create an album” and go ahead and add some photos of your shopfront. Then create another album for your various product lines. People can now share these with their friends. Make sure you give them all meaningful captions. You’ll need a profile photo. This is the little photo on the left hand side. It needs to include your logo as well as a high definition image that really conveys what it is that you do. It should be at least 180 pixels wide. Now you can begin interacting with current and potential customers. You can share photos, ideas, tips – anything that will compliment your brand and make people loyal to yourself. Not sure what to do? Check out down below. Once you have mucked around with Facebook for a while you will start to develop enough confidence to move in to other areas. The next step is to decide after a couple of months what other social media sites work for a small business like yours. Sign up for a few test accounts on Twitter, Google+ and Youtube and see what the “vibe” is like for your niche. If something looks promising then give it a go. So, what do I do on social media? What’s the point? One of the biggest questions my clients ask me is simply what the heck do I do on these social media sites? People become loyal to other people, not brands. If you run a pizza shop you can spend time on Twitter talking about your passion for pizzas and your history with the pizza making art. You can talk about your quest for finding the right ingredients and interact with other people who have similar passions. Social media is a fantastic way to break down the barriers of facelessness. By showing your potential customers the people behind the business you are giving yourself a chance to be different from all the other competition. They will become loyal to you. Don’t try and come up with some corporate character. Just talk as if you were talking to your mates at lunch or a long term client in your store. Honesty is really important as people can sense whether you are stretching things. Remember, it is about connections. The more chances you give people to see the real you the more loyal they will become. Social media sites like Twitter and Facebook provide you with a really good way of getting feedback. Its almost like its an online survey. Want to know how people felt about their dining experience in your cafe? Go on Facebook and ask them. This takes some bravery because you have to be prepared for negative feedback. But negative feedback is so important because it helps you improve your services. And that leads me to the next one. I once sent a Tweet out complaining about my mobile phone service. Within an hour they had rung me up and given me a new phone for free to apologize as well as switching me to a better reception provider. This would never happen before social media because companies weren’t afraid of our networking influence. Now they are. Big companies like QANTAS, Vodafone, Australia Post, etc. are now all using Twitter to handle complaints. Part of this is damage control, part of it is an improvement on customer relations. What do I mean by this? Well, the thing you have to realize is that social media is here to stay. If you do something bad to a client they are going to talk about it on Twitter. So you can either ignore it and let the reputation grow or you can jump on and help people move on. Give them freebies, apologize sincerely and invite them back. It is very important to be seen to be addressing complaints on social media sites. One of the best ways small businesses can use social media is by offering incentives to get people in the door. Let me tell you an example of how it works. Let’s say you are a pizza joint and you want to get more people in the door. What you can do is put up a sign in your shop telling people that if they check in on Facebook they will get 5% off their bill. For a few dollars you have just got a review to several hundred people. All of that customer’s friends will see that they are at your pizza joint and the chances are they will add a comment like “great pizza”. The next time those friends are thinking about pizza they might just remember that little reference. Incentives can be really simple or they can be complex and more rewarding. But don’t be afraid of giving away free stuff to people because it will come back to you in droves. I’m going to be doing a whole post on incentives for social media marketing so make sure you are subscribed to the blog so you don’t miss it. The previous point ties in very closely with this one – social media can help you massively grow your word of mouth marketing. In its most basic form, if you don’t have a website or Facebook page or Twitter account then how are the millions of people on those platforms going to make reference to you? They can’t. If you do nothing else at all, at least have a website and a Facebook page set up so people can point to something when they are talking about you to their friends. If you have a business with a physical location then uploading a gallery of photos on Facebook can be an excellent way to introduce people to your location. If you have a physical product you can do the same – upload photos and show people what they are getting or how it is made. As you are probably realizing, social media for small business is all about making meaningful connections with people. By sharing photos you are breaking down “web barriers” and reminding people that you are around and your product is really really good. Imagine selling a widget to a young lady for $50. You get her email address and then the next time you have a widget sale you email her and all the other widget lovers. You instantly boosted your sales for free. Got an event or a lunch coming up? Email your list. Need help from your loyal customers promoting a new product or perhaps a new store location? Just ask. If you can direct your social media activities so that you capture email subscribers you will be setting your business up for a lot of success in the future. Facebook contests are really big nowadays. It basically consists of giving away some really cool prize in order to attract more Facebook followers and get the word out about your business. You have to be careful though as some contests are against the terms of service and can get your page banned. Research is important. When holding a contest you should make sure that you have a really nice prize (worth at least hundreds of dollars) and an entry method that is exciting and simple. Here is an example of a Facebook location-based contest run by Coca Cola in Israel. As the video shows, the outcome was pretty amazing. Of course, your campaigns don’t have to be this epic. But it does give you some ideas. For example, you might want to give anyone who checks in to your cafe a free coffee. That word will start to spread. There are so many clever people out there doing incredible things with social media. It is important to study them. If you are a small business is can be tempting to think that you are all alone trying to learn yet another skill. So make it easy on yourself. Don’t try to reinvent the wheel. Go out and study some of the businesses that are getting things really right. I’ve included some resources here in this post but one of the simplest things you can do is go to Google.com and type in “social media campaign [your niche]“. For example, a hotel might write “social media campaign hotel” and research the different results that come up. It is important to study this stuff but it is also important not to get distracted. You are trying to grow your business remember, not your social media accounts. I don’t want to scare you but there are a few dangers that small businesses need to be aware of when getting involved in the social media labyrinth. Well, lets be honest. People are always critical of bad products its just that now they can talk about them on Twitter. If you provide a bad service or product you can be you will be flamed (chastised) on Twitter. Be ready for it. The thing to realize here is that those people are already talking about you. It is therefore extremely important to get on and start talking to them, helping them and addressing their concerns. A few months ago QANTAS, Australia’s national airline, grounded all its flights around the world due to ongoing industrial action. It left thousands of people stranded across the globe and a media storm unlike I have ever seen in Australia lasted for weeks. Many people were angry at the CEO’s decision to ground the fleet, while others thought he had no other option and did the right thing. 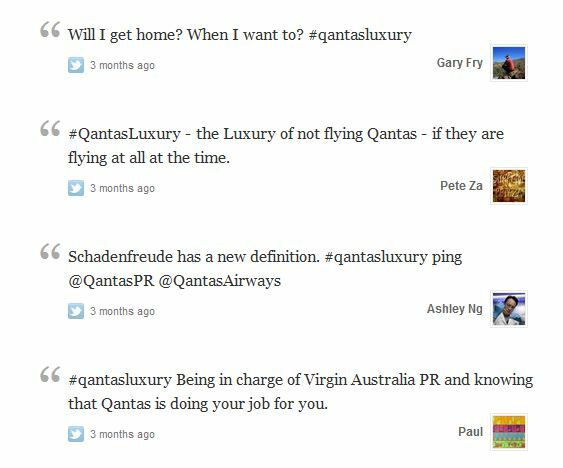 A few of the resulting Tweets from QANTAS’ Twitter competition. Now, in case you don’t know, a Twitter hashtag is something you use when you want everyone involved to be reading the same thing. For example, you’ll often see hashtags about sporting events like the Super Bowl because the promoters want to get people talking in the same place. And thanks to a website called Storify we can see a record of all thee nasty, mean and hilarious replies that QANTAS got as entries into this competition. This is an extreme example of what can happen with bad timing and a poorly thought out campaign. This Twitter competition might have worked wonders if goodwill towards the company was not at such a temporary low (QANTAS is normally a much-loved Australian brand). A lot of people forget that you can still break the law on the internet. And this can lead to you and your staff ending up in serious hot water. Let’s take defamation as an example. If you go on Twitter and say something untrue about someone which results in their reputation being damaged you can be sued in court under libel laws. Similarly, if you make untrue claims about your product you can come under fire for false advertising. This can lead to crippling fines. Its important that you keep everything truthful and clean when on social media sites just like you would on a print or TV advert. You can avoid a lot of these problems by coming up with a social media policy for your business. Outline what can be talked about, which of your staff can talk on behalf of the business, whether personal social media accounts are allowed, who has access to passwords, etc. It might seem strict but it can save a lot of future dramas. Privacy concerns really need to be thought about before signing up to all of these sites and putting your name, age, location, etc. on the public record. Some people are paranoid about this stuff, others don’t seem to care. Have a think about how much you want people to know and set the boundaries early. This is just the tip of the social media iceberg. But don’t fret, you don’t need to know everything at once. Start with a website, blog and Facebook Page and go from there. And if you want to talk to someone who has done it all before (for many companies) you can hire me to help you. To all my regular readers: What other tips would you give to a small business looking to get involved with social media? Have you learned any lessons doing social media for your own business? Please leave one of your usual amazing comments. I think you have hit the nail directly on the head this morning. So many people have no idea that social media is work. They post links and have no relationship or interaction then become frustrated why no one posts or comments. It’s a relationship that we as bloggers need to build and cultivate and not just a one-side blathering at the other and wondering why you don’t feel the love. (Kinda like some marriages). I love the points you made about what does and doesn’t work. Social media definitely can be your best friend or worst nightmare. Well done on getting the first comment Kim! Yeah, I totally agree with you. It really is about building the relationship. I often tell client to think of social media as the lunch meeting with a potential client as opposed to the actual sale. Its where you make friends. Well I certainly know a couple of people I’ll be emailing this to, a fantastic introduction to social media. Not only that but there’s a good few things that I’ve taken on board myself! Cheers. Thanks so much Ben. After cracking my fingers on this one for two days it means a lot! I’ve learned some lessons the hard way. Most people go to social media sites not for reading your blog posts, unless they’re really following you. And if they’re really following you, they’re most likely in your email list already. I didn’t get good results with social media before. I believe it was because I was just plainly pouring out my old blog posts. I wasn’t using social media right. What are you doing differently now Josh? I’ve shared this post on Facebook and Twitter. It’s a great post. I got this in my inbox and my first thought was ‘this isn’t a blog post; it’s a report!’ It is quite extensive even though not completely comprehensive – you would need a large eBook for that. I agree with you that every business needs social media – and small businesses need it even more. I have found Twitter to be the most valuable for me in terms of traffic and relationships; second only to my blog. It’s such a huge lesson for me that I wrote a report on Twitter, complete with case studies. The most important lesson I’ve learned is to be honest. Nothing beats that. Thanks for this post; I will definitely be linking to it soon. It sure did take a long time to write. Honestly though, I think I could write forever and not stop about this topic. So much to go through. Oh, and tweet! and share! Dang, that only took you two days?? Excellent resource BT! I’m a bit puzzled by your recommendation that every business have a blog and Facebook page. The blog part makes sense, but why Facebook? It’s got the most users, but we all know that the biggest audience doesn’t equal the best one. Facebook is, in my experience, a hard place for B2B businesses to be really successful. People want to have fun and socialize on Facebook, not necessarily read articles shared by B2B companies. I’m by no means a Facebook expert, but I’ve yet to see a good case study on a B2B business that is finding success on Facebook. I can’t say thank you enough for all the information you relay to idiots like me as I’m launching my business. I knew social media was important, but your info is a great resource for making my media more viable and useful. Can’t wait to start putting some of these and other tips into practice. That is a good point about B2B being slightly different. First thing, Facebook is growing so much and adding so many new features that I think it is a risk for businesses to not be on there for the sheer fact that the might get left behind. There are rumors that FB is starting its own search engine soon as they have such huge amounts of data. Secondly, I know a few businesses that strengthen relationships and build new ones over FB Pages. For example, if a business Likes you and you go into their sidebar you get a long term recommendation that other businesses see. There are a range of other things B2Bs can do like promoting new products with massive landing pages to generate interest with suppliers. In the end though, you are right, you need to tailor it to your own needs and wants. Have to disagree with some of this. Having a website may work for businesses but not all. I know of a bakery that has been in operation for close to 100 years, doesn’t have a website, doesn’t accept anything but cash for payment and is doing a roaring business. A blog is not an absolute necessity. A blog is probably not the answer for the majority of businesses. There is no ‘one size fits all’, no ‘you must do ABC or XYX’. Anyone who suggests such an approach is, frankly, doing a disservice to readers and customers. Incentives aren’t necessarily the answer either. Coupons, discounts, freebies may get people in the door once but often people won’t come back. Groupon, for example, is an abject failure in this regard. A good web strategy, whether it includes being on the web or not and whether it includes social media or not, has to be developed on a case by case basis. Cookie-cutter solutions aren’t the answer. I’ve been doing online marketing for 10 years and am yet to find a business that couldn’t grow from a website, blog and social media. Sometimes people turn it down because they don’t want to grow (or don’t know how) but there is always room. The bakery is a great example but I have heard of similar bakeries who signed up on Twitter and started talking about what they were baking fresh that day and what specials they were having. The result is increased frequency by already loyal customers and increased sharing – more people in the door. As for the website – how will people contact them if they want to place say an order for a large corporate party? Will they just go with the competition if there is no details online? This is only a simple example but could be an important one for the bakeries growth (if they were interested). I totally agree with you about incentives – not a perfect fit for every business. I totally agree with the last paragraph as well and is why I mentioned a few ways for people to practice with FB and move on to other ones that work for them after they have studied a lot or consulted with me. Thanks for the great comment! You obviously have an excellent social media head. I think there’s a fundamental difference in how some people/businesses approach business and how others do. The bakery in question (and we’ll use that since it’s a consistent example, although there are doubtless other, similar businesses) perhaps doesn’t have a need to grow. If the business is running at capacity as it is and is meeting the goals the owners have for it then why grow? Perhaps they don’t want to move into a more automated, less personal ‘manufacturing’ environment. Growth takes capital as well. In many cases borrowed capital. Perhaps they don’t want to incur the debt. Why does this bakery have to compete with others for the large corporate order? Why can’t it simply do what it does and does very well? There’s nothing that says the goal of every business should be growth. Some businesses are just fine being local and serving the local clientele. How many hair stylists in Timbuktu are going to benefit from having people in Eastern Serbia reading about their salon? The marketer, of course, will talk about the growth potential of franchising. Nonsense. The web and social media also take an investment of time. Time both in learning and in updating. Many don’t see a return on that investment. Large and medium sized businesses are struggling with figuring out social media ROI. Part of that is that they’re trying to fit it into their ‘old school’ profit model rather than looking at it in terms of ‘soft dollars’ from increased customer satisfaction/service or other softer metrics. But if a large business can’t figure it out then a small business that’s much more focused on the bottom line and doesn’t have the ‘wiggle room’ that a larger business has in terms of dollars to sink into the effort then it’s perfectly understandable that those owners may not (a) want to make the leap and (b) need to make the leap. Assuming that all business needs to, or should, grow beyond being a simple, local business is a mistake that many have made in the past. Not all businesses need to or should. It’s the kind of misplaced enthusiasm that gets small businesses in trouble and causes them to go out of business. Totally agree. That’s why I said “or don’t want to grow”. Thanks for your comments. I’ve really enjoyed them. I have a restaurant up the street that is the exact same. It takes cash only and has no website and old outdated furniture. They also make the best fish and chips ever and the place does a raging business. There are lots of times when I don’t go there because they don’t have debit which means I have to stop at the bank to get cash first. So they do lose some business. The problem with them not being on the web is how can I spread the news about this great joint? I can’t really. They’ve solved the business problem of having a great product and they too have been around forever but if they were just starting the business today it might be a totally different story. Definitely a great comment Bob, and I agree with you too an extent, more that resources need to be used wisely rather than your standpoint that not ‘every’ business benefits from social media. The thing is, using social media is such a small investment, and if it’s not taking up too much of a very precious resource (your time), I think that it IS beneficial for *almost* every business. My example would be something behind the scenes rather than a bakery, such as a wholeseller or a steel factory. Don’t disagree, Greg. I agree that social media can be beneficial to many businesses and that it can be an important communication channel. Just not for all. And I’ve become very leery of approaches that advocate a ‘one size fits all’ approach. That’s what I was getting from the original article. And even in the follow up comments I’m not seeing a lot of movement off that idea. Some, not a lot. I don’t agree that a blog is crucial. There’s nothing wrong with just a website to bring people back to. People don’t buy things off a blog. They don’t look for a product catalogue on a blog. Unless the business is using something like WordPress as a CMS and has their website and blog combined. But not a lot of businesses are doing that. Before going into photography I had many years in business. It included executive financial positions, strategic planning and project management. The strategic planning, in particular, taught me the benefits of a flexible approach and tailoring solutions to the particular situation. Thanks for sticking around for the discussion. I guess I’m not really moving too much because I don’t really agree that I advocated a one sized fits all approach. This article was in intro to social media for small business and in my experience the best place to start is with a website/blog/FB combination. I did mention a few times to experiment, study and figure out what works for your individual business though. I suppose if a business wasn’t interested in social media they wouldn’t be reading the post anyway. I also mentioned the fact that I consult with business to tailor individual solutions – I had hoped that would be enough. For your comments about buying and reading a catalogue off a blog I feel I should point out that that is contrary to the message I was trying to get across – social media is not about directly selling a product. 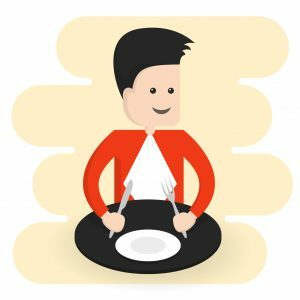 The blog is a place where you develop a relationship with a reader/potential client and show them why your cafe/product/service is so wonderful. Anyway, I’m really interested in your foray from business to photography. How did that come about? How is it working out for you? I think we just disagree on the need for a social media presence. I don’t think it’s as important and certainly not for all businesses. In terms of the goal of social media or a web presence, while building relationships with customers is great it still, in the end, comes down to a sale. It has to. Businesses need to earn money to operate. So ultimately the goal is to convert fans/followers/Like(r)s into sales. I know I talked about the ‘soft dollar’ ROI of web/social media earlier but in the end it’s still about dollars. You also talked about ways to get people in the door so you also, obviously, recognise that it’s about the sale in the end. Social media users are savvy web users. If they want to buy, chances are they’re going to be willing to do it online. A social media presence without the ability to convert that new fan into a customer is a wasted opportunity, I think. A website without a blog doesn’t just have to be a catalogue or sales channel. It can have a ton of information about the business its products or services. It can explain why that particular business’ product is different from and better than others. It can have customer testimonials included. It can contain all kinds of information that helps build trust and comfort. There may not be a need to update people on a regular basis via a blog. Going back to the bakery example for a second, to be honest I wouldn’t buy online from a bakery. The best thing about buying from a bakery is that it’s fresh. You lose that if you buy online and have the product shipped. There’s also a sensory interaction with something like a bakery. The smells are wonderful. Seeing the baked goods in person is very different from seeing pictures on a web page. I know it happens to me – and I’m sure I’m not alone – that I walk into a bakery or other, similar type of shop with that kind of sensory experience (a butcher might be another good example or a fresh, farm grown vegetable shop) and I end up buying MORE than I’d initially planned to. That’s not going to happen online either. You’ve hit the nail on the head again! You’re absolutely right – the blog is THE MOST important social networking site. It should be the start, and end, of every social network update. Having a social media campaign without bringing people back to a blog that develops loyalty and converts people into an outcome is a huge waste. The blog really is wonderful. I think the most important point is to network with others, talk to them and like you mentioned, be real. What do you think? Should we have a good connection with all our followers (yes, I do understand that it is impossible to have a personal connection when you have lots of followers). Should we use automated methods to gain followers? Jeevan you are right – social media is all about building relationships. Forget about how many followers you have and work on getting followers that matter. I’m glad to see that I may be getting one thing right so far. I just like to interact with my followers on FB and Twitter. I started by only linking my new blog posts (which I still do) but now I find just asking questions and sending updates on life is far more beneficial. I’ve had a lot of interaction with my followers and I’m even enjoying it more. The only problem with adding all the social media sites is the extra time it takes to navigate them all. Totally worth it if you love what you’re doing though. The time factor is a really big issue but I have no doubt you are getting it right. You interact with me really well on the various platforms and I’m sure doing the same with others will pay dividends. I think you’re really good at teaching and writing long and resourceful posts. I’ve learned a lot form this post about social media marketing. It seems a bit overwhelming at the beginning, but I think, like you said, you don’t need to know everything at once. Since I’ve already got a blog and have different social media accounts running, I’ll try using one tip at a time (out of the 9 tips). Thanks for putting up this great post! Thanks Janus that means a lot. If you ever need any help I’m here in the comments section! Great information! I’ve seen this article on my twitter feed several times over from different people! Figuring out where to start is overwhelming! And I didn’t see this in any other comments…the Donuts photo is from Three Ships Media in North Carolina. A friend of mine shared it a while back and his photo still had a link to the original site. Here’s a link to their post about the photo. Awesome advice and all packed into one space. It certainly reminded me of so many “ToDo’s” to add to my list. Thanks for the very comprehensive post. Using it as a guide, I’m re-writing my social media strategy for the new blog I’m launching in April, “Jump!”. I shared the sh*t out of it, too! I really like the expression shared the sh*t! Thanks! I’m the kind of person who feels overwhelmed by Social Media. I enjoy a little bit of interaction on Twitter or even Facebook, but beyond that I get tired. And then G+, Pinterest, etc. It’s time consuming. It’s too much for me. I don’t even try to be active on all of them. We have a blog that, for some reason it’s like a magnet for Facebook traffic. So, we’re improving our FB strategy and it’s a lot of work. The good side is, talking to people is usually nice and interesting. G+ and Pinterest are maddening. So many. I was all prepared to leave a really long, thought out comment but you’ve got this stuff on lock Blog Tyrant, I’m lost for words! The single thing that I can add is to what you said about how important blogs are – if you’re trying to make a sale or if you’re trying to convey to potential customers that you’re the only one who can help them with their pizza-loving needs, then you have to have a blog. No one can make a sale in 140 characters. Well, maybe, but it’s bloody difficult! Agree with you there. Nice to see you around Jasmine. This was a very well written and thought out post. I don’t think you missed anything. 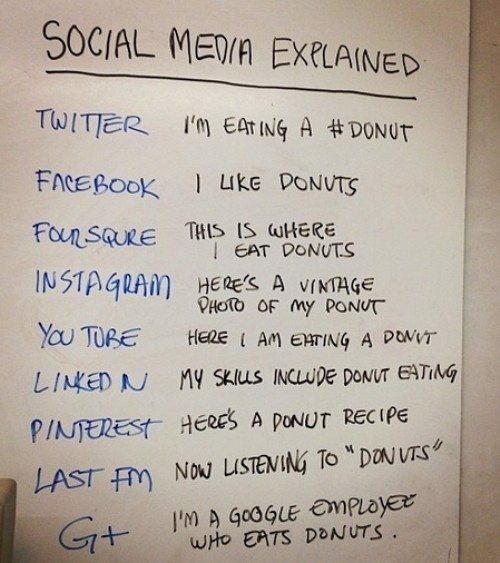 I can say this is a complete beginners guide to social media. Yea, simplified and easy to understand than reading 100 pages ebook guide about it. I am very agree to treat the blog as one of the social media platform. I try as hard as I could to DRAG all my FB fans, Youtube viewers, etc to my blog. Because it is the only thing I have TOTAL CONTROL and I am taking all those social media website such as Facebook, Youtube, and Twitter as leap stone. Thanks Wiguan. Where is your name from? This is not only a good primer for people still entering the realm of social media, but a good refresher for those not clued in to some of the newer platforms such as Pinterest and Instagram. Social media and building a following involves a lot of commitment and work, and it takes time. Being sure to interact with people is the biggest key to me. Any time I get some good interactions going, it seems to pay off in subscribers or some other way. It’s a long haul, but extremely necessary in order to build brand loyalty. Well said bro. Well said. Thanks for the Tweet as well! I never considered the legal aspects of tweeting. Guess I better keep that in mind. Article is excellent as always. Yeah it can be tricky. Thanks Todd. I enjoyed the post and tweeted/facebooked it as well. I think one area many end up getting confused about regarding social media is which medium to use. Twitter caters to different people than Facebook and Facebook different than Google+. I noticed a few comments about this so perhaps this can be another topic that is addressed more in-depth down the line. I am doing a workshop for writers in March and I plan to use this as a resource. Downloaded your ebook and looking forward to going through it. Wow very impressive article. I’m going to print it out to use as a guide. I ‘m happy to share it. What a great post. Bookmarking, sharing and tweeting. Great overview of what everybody in business needs to know about Social Media Marketing. Thanks! Thanks for the support Anne. BT, what a wonderfully exhaustive look how different people can use social media in different ways — or choose not to use it at all. Something like this that touches on the ‘basics’ is always a welcome sight for me because I can get lost in my own intellectualizing of social media strategies. What it boils down to is: This social media “thing,” this tool, is all about the relationships. I think that StumbleUpon and Reddit can be as powerful as Facebook or Twitter if used efficiently. I always find that Stumble traffic is a bit aimless. But I could be wrong.